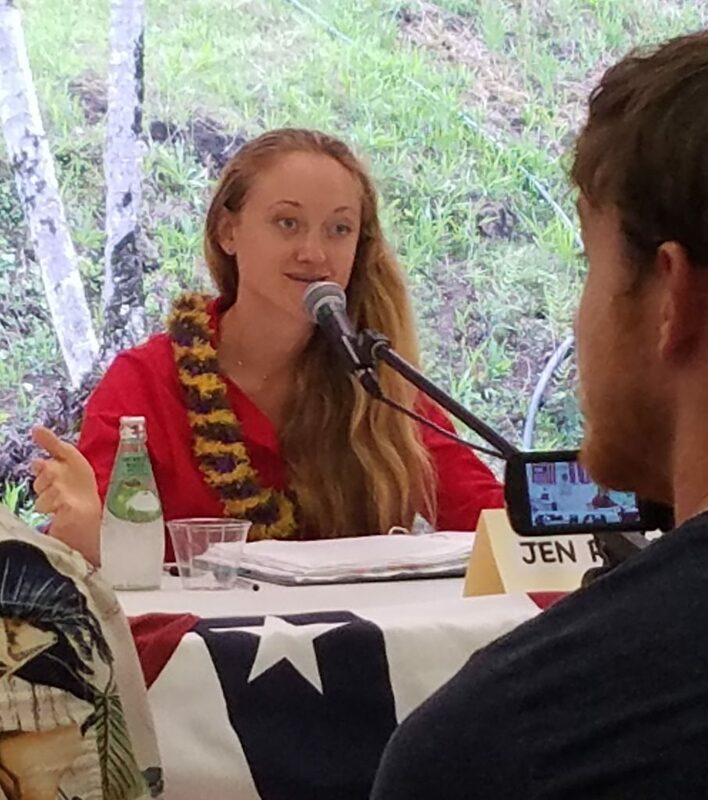 Jen Ruggles addressing the audience at the Pahoa Democratic Party Candidate Forum. Another debate occurred on July 16, 2016, where the voters compared the philosophy and statements by the two applicants for Council representative for Council District 5, which stretches from the shores of Kalapana all the way to Fern Forest subdivision at the outskirts of Volcano Village. Mahalo to District Chair Frankie Stapleton and the Democratic Party precinct officials who put together this educational event. Of course, we are proud of Jenʻs knowledge, skills and message. And, donʻt take our word for it. See for yourself. Exclusive video coverage by Big Island Video News.com. A big Mahalo to business owner David Corrigan for covering this event.